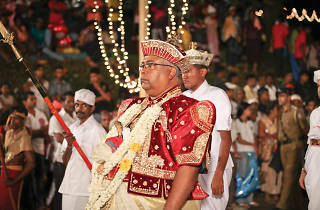 The Maha Saman Devalaya Esala Perahera originates from the Sabaragamuwa district in Sri Lanka. 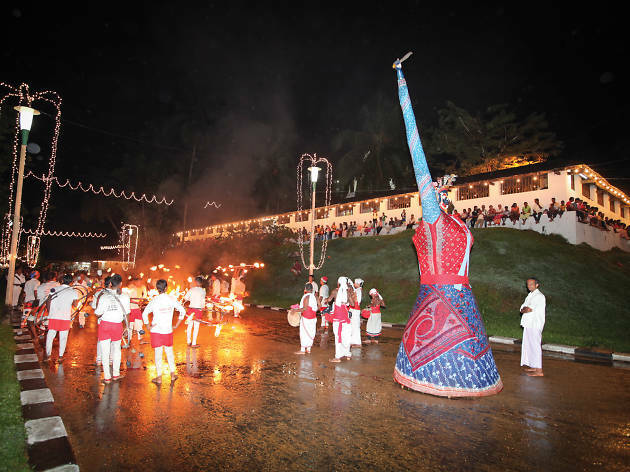 Its purpose interweaves history, tradition and heritage that are unique to the island. 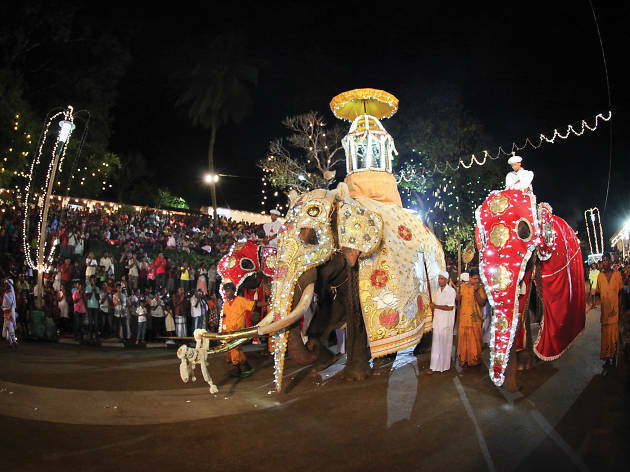 Every year in September, the city of Ratnapura and the Devalaya lights up in festivities as the Maha Saman Devala Perahera parades through the streets while locals and tourists alike flock to see this sacred marvel that has been in practice for centuries. Ancient chronicles indicate that the very first Perahera took root during King Parakramabahu VI’s period. 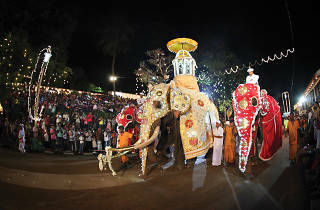 This is the time to see elephants cloaked in decorated garments and bright lights, acrobats, jugglers, traditional dancers, from various regions; udarata or up country, pahatharata or low country and the Perahera’s very own Sabaragamuwa performers, serenading through their respective steps to the resonance of drumming in harmonious unison, as well as flag bearers, fire-eaters and fire walkers, musicians and singers. 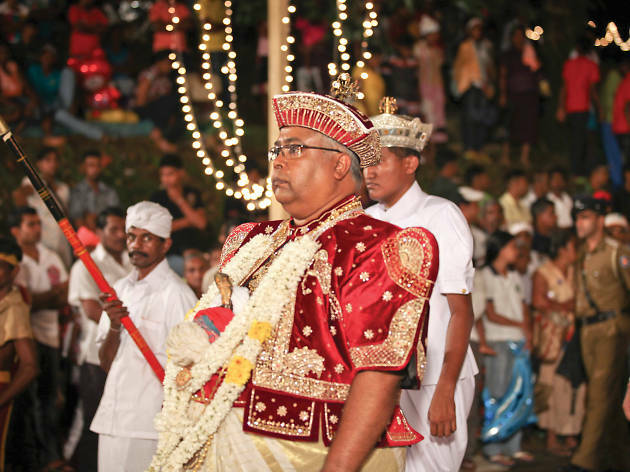 Prior to the festival’s commencement, age-old rituals come to life; the pirith ceremony; kap situveema; the smaller Kumbal and Dewele Peraheras. 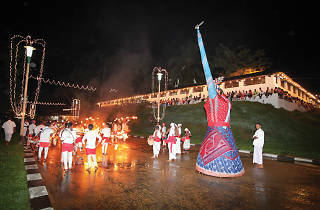 The Maha Saman Devalaya Esala Perahera concludes with the symbolic water cutting ceremony, and thereafter the Daval Perahera takes place during the day. Auspicious times guide the entire festival and every ceremony contained within it is in tune to a set schedule, as directed by the temple’s chief incumbent.